There must be seed, time, and harvest if you're going to receive! This is a biblical principle many Christians either don't know or haven't applied. In this teaching, Andrew reveals how you can reap a harvest of God's promises in every area of your life! You'll also learn how to plant the Word in your heart, unlock the parable of Jesus that unlocks all others, and develop a mature and stable walk with the Lord. 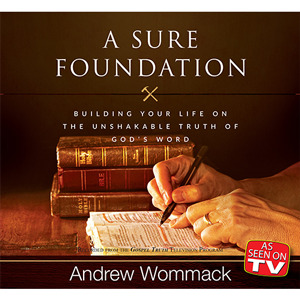 This teaching is essential for every Christian, so let Andrew show you how to lay a sure foundation today!